Who Is to Blame and Your Chance to Act! Who Is To Blame For Cuts At Your School? Many school districts released budget proposals last week that contained substantial cuts to programs and teaching positions. The tendency when parents are unhappy with the school budget is to blame their superintendents and school boards. These are not the people responsible for the cuts at your schools. The Arizona Legislature is responsible. On March 24, 2010, AEN released a report titled "2009 Legislative Sessions: Education Funding Voting Record by Legislator." Please check out your legislators' record on funding public education. In 2009, 40 of the state's 90 legislators voted against public education funding 100% of the time. Even if Proposition 100 passes, Arizona schools will experience funding cuts. While it is important to pass the temporary sales tax to avoid devastating cuts until our state's economy stabilizes, remember that all our legislators will be up for election on November 2, 2010. Even more important, primary elections - where many of the seats are decided - take place on August 24. Tomorrow is Your LAST Chance to Register to Vote! In order to vote for Proposition 100, you must be registered to vote by midnight on Monday, April, 19, 2010. If you have not yet registered or want to receive your ballot at home, click here. Have you moved recently? You MUST re-register every time you move. Please forward this e-mail to your friends to make sure they are registered to vote in this important election. Thank you! AEN Proposition 100 - Vote Yes Tool Kit! The AEN Proposition 100 Tool Kit is full of ideas, suggestions, and resources for getting the word out in your community about Proposition 100. There are a variety of ways you can effectively advocate for your schools, including making signs, holding window decorating rallies, and more. These activities can be limited to your immediate family or you can recruit an entire neighborhood or school community. Get your AEN Proposition 100 - Vote Yes Tool Kit by clicking here. Parents across the state are coming together and organizing a number of "Yes on 100" events. To locate a group in your area, click here. Have a group and don't see it on the list? Please send your group's contact information to melissa@arizonaeducationnetwork.com and we'll gladly add it. Arizona Public Media Debate: "Arizona Sales Tax: Fix or Folly?" On Sunday, April 11, Ann-Eve Pedersen, president of the Arizona Education Network, and Farrell Quinlan of the National Federation of Independent Businesses squared off in a debate on Proposition 100 - the temporary 1% sales tax increase. In the wake of massive teacher lay-offs around the country, the chairman of the U.S. Senate Committee on Health, Education, Labor & Pensions, Senator Tom Harkin of Iowa has proposed the Keep Our Educators Working Act - a $23 billion jobs fund to prevent teachers from being fired because of budget shortfalls. Contact Arizona's Congressional delegation and urge them to support this proposal! To contact your U.S. Representative or Senator, click here. If you want to change the status quo, you have to get involved! Forward this email to ten (10) family members and friends today and ask them to join the Arizona Education Network! Membership is free. Our strength is in our numbers and we need all hands on deck. A One-Hour Audience Question and Answer Period Will Follow the Panelists' Presentation. Without the temporary sales tax, as much as one-quarter of all public education funding could be cut. This could mean the equivalent of 1.5 to 2 out of every 10 teacher positions could be eliminated. P.S.S. 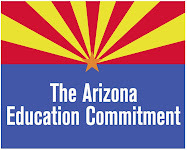 Interested in having the Arizona Education Network speak at your school or community group? Email us at outreach@arizonaeducationnetwork.com for information and dates.